Be the change and the reason Awareness is spread everywhere! This ribbon design is offered in multiple colors so you may spread the awareness that means the most to you. 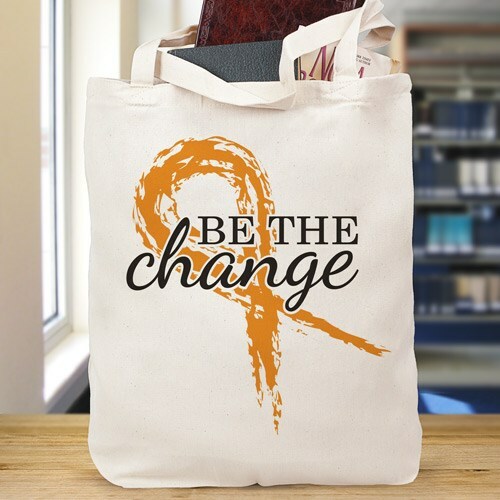 This Be the Change Canvas Tote Bag is a 100% cotton Canvas Tote Bag measuring 16"h x 14"w. This tote bag is made especially strong to hold all of your take along items and is great for spreading awareness wherever you go. Great as Awareness Walk Gifts.